These are professionals who deal with shoes, shoe care products and style issues every day. We asked them how good, in their expert opinion, the products from SHOEPASSION.com are? As a descendant of the Rendenbach clan, one of Germany’s most famous tanning families, Hanns Rendenbach was born with surfactants in his blood. The Trier-based Rendenbach company was founded in 1871 — Hanns has been running the company since 1985 and thus represents the fourth generation of family leadership. Like his great-grandfather before him, he’s committed to traditional oak pit tanning, a completely natural tanning method that requires nine months of processing and results in extremely sturdy and long-lasting leather soles. Little wonder, then, that all around the world the finest bespoke shoemakers swear by Rendenbach soles. Hanns Rendenbach isn’t just a tanner, though. Earlier in life he studied Business Administration in Cologne. The knowledge and experience he acquired at university help him keep the family business up-to-date. For years the Rendenbach factory has used an ultramodern assembly facility to produce custom soles for their customers. Accordingly, Hanns Rendenbach is a fond friend to the world’s largest and best-known shoe manufacturers. Mr. Rendenbach, how would you define a good shoe? First and foremost, it should be long-lasting, and comfortable enough to wear every day. My feet should feel at ease. The level of wearing comfort is primarily dictated by the breathability and fit, which are determined in turn by the materials and production method. The appearance of the shoe is also important, of course, but that’s judged purely by subjective criteria. Following that last point, what’s your favourite model in our collection? There are so many to choose from. I’m a big fan of No. 576, which I wear often. I think the highlight of your collection, though, is the python oxford with the Rendenbach sole—strikingly different yet tremendously comfortable. What’s your general opinion of our shoes? My shoe rotation includes a number of pairs from your company, so I can pass judgment with some authority. Your lasts provide a perfect fit, and I feel very comfortable in your shoes. The workmanship is also very solid. As such, they’re an unparalleled value for Goodyear-welted shoes. I gladly recommend them. You’re very familiar with the classic shoe market and have worked with the greats in the field. How would you assess a young company like SHOEPASSION.com? I have a great deal of respect for what you’ve managed to build up in the space of a few years. You’ve been able to provide a very traditional market with some fresh input. Let’s take direct online marketing as an example. That wouldn’t have been possible ten years ago. In my opinion, Shoepassion has been a breath of fresh air for the shoe industry and a boon to the business. We also support the digitalization of the shoe market. Do you feel we do a good job of representing shoes as a classic product? You do an excellent job displaying the shoes. You’ve put together a website that not only attractively presents shoes, but also makes the cultural significance of shoes accessible through your comprehensive shoe encyclopaedia. Interested visitors to your site can take some time to learn practically everything about shoes. Normally to learn that much they’d have to expend a lot of effort going through the relevant literature. Thank you for bringing that up. Do you believe, then, that we could contribute to the renaissance of good style? And help cultivate tastes for high-quality and long-lasting materials? I think so. The typical German man is essentially prepared to invest 1000 Euro in a good suit, and to then spend 350 Euro on nice shoes. Your informative approach, the quality of your product and your great retail prices make entering the world of Goodyear-welted shoes extremely attractive. Once the customer has experienced this kind of shoe, he’ll definitely stick with it and turn his back on glued-together, cheaper alternatives. Do you feel that your leather soles are in good hands with us? Absolutely, without a doubt. In brief: history and tradition are important, but one must also keep abreast of current developments. Because of that, and speaking as a traditional tanner, I feel that my product is in very good hands with you. We’re also offering the first-ever collection of Goodyear-welted women’s shoes fitted with Rendenbach soles. What do you think of them? I’m absolutely thrilled! Unlike many other manufacturers, you haven’t merely translated men’s shoes into women’s shoes, but rather created new, distinct women’s models. In terms of look and variety your collection of Goodyear-welted women’s shoes is absolutely one-of-a-kind. Mr. Rendenbach, what do you think of the protective rubber soles that some people attach to your leather soles? You’re definitely asking the wrong person (laughs). I’ve never understood those rubber soles. In my opinion they’re intended as a protective measure for poor-quality materials, which aren’t very water-resistant and wear down easily. Additional rubber soles definitely conceal those flaws, but then the shoe misses out on the properties of a leather sole. I find walking in shoes with a smooth leather sole and hearing the noise it makes a real delight. Leather soles that are truly high in quality have no need of a protective rubber sole. The sole exception to that would be in winter; when it’s really slippery out, a rubber sole can definitely increase traction. In my opinion, though, these soles have no place in the warmer months of the year. Speaking of protection: typical leather soles should ideally be treated with leather sole oil from time to time. This enhances the sole’s water and scuff resistance. What’s Rendenbach’s stance on this topic? Divided. I don’t wish to refute this. Using oil definitely infuses leather fibres with a certain suppleness. It also increases sole flexibility. That being said, I personally have never used leather sole oil on our leather soles, and in my entire life I’ve never had one of my soles break or crack. It’s all right to use oil on a regular leather sole, but you don’t need it for Rendenbach leather soles. Since you’re an avid shoe fan, could you let us know what types of shoes are missing from our collection? In terms of shoe types you’ve got everything covered, but I’d be happy to see you take some more risks with colour. Try experimenting a bit with colourful leather uppers or jazzing up the linings—I could easily see you using a dark green, for instance. Originally from the idyllic Allgäu Alps region, Rainer Ersfeld is the manager of Freyersfeld GmbH and ShoeCareService, based in Konstanz. 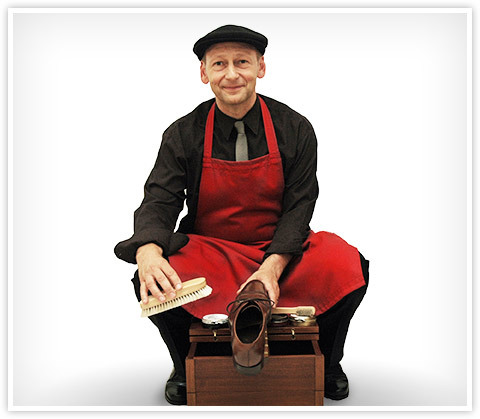 His companies supply Swiss shoe care products from Burgol and Famaco, as well as Abbeyhorn from Great Britain. The traditional brand Burgol was hardly known before Rainer Ersfeld discovered it by chance in 2004. After that, everything happened very quickly. He visited the manufacturer, took a close look at the production process and examined the distinctive turpentine blend used by Burgol. Convinced of the product’s superiority, Freyersfeld GmbH became Burgol’s exclusive sales partner for Germany, Austria and the rest of Europe. Its customers now include the most popular shoemakers in the region. 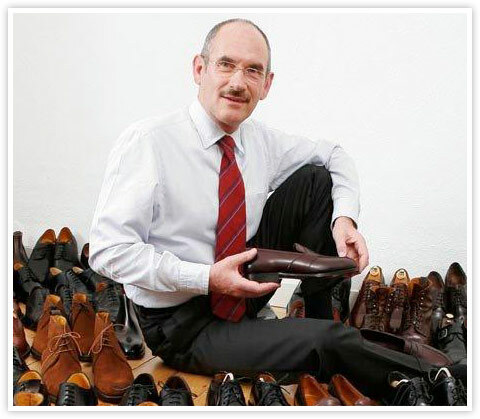 Today, Rainer Ersfeld is an author and shoe specialist who shares his knowledge in shoe care workshops. Mister Ersfeld, as a passionate shoe lover, does SHOEPASSION.com appeal to you? Absolutely! I love light and friendly websites. The beautiful product images are especially good. In combination with the in-depth texts, packed with shoe knowledge, the website certainly sparks my desire to shop for shoes! We are always glad to hear that, especially from a man who might prefer the personal contact with a shoe in a store. These days, I own enough shoes and do not necessarily need to buy any more. But you are right, every shoe lover appreciates the special feeling and odour of leather, when it comes to buying shoes. And while that might not be possible in an online shop, there are few other disadvantages. On the contrary, there are plenty of advantages to buying online. Buying Goodyear-welted footwear with SHOESPASSION.com is exceptionally good value for example. And, once I have found the right shoe last in your collection, it is easy to order further shoes without any problems from the comfort of my home. What do you think about our shoes? I have already mentioned the fantastic value, but I think it is worth repeating. Your classic shoes are in no way inferior in quality to shoes from Crocket & Jones for example which cost around €450 a pair. That is really outstanding. The manufacture is beyond reproach. Some might argue that the leather is not soft enough, but I would point out that a new pair of Goodyear-welted shoes has to be a little bit sturdier. It takes time to break in Goodyear-welted shoes and the leather has to work on the foot itself. Then it will create a custom fit and foot and shoe will form a long-term, harmonic relationship. You have ordered our No. 337. How pleased were you with the delivery time, the package and additional extras? I got the ray fish leather shoe the very next day in Konstanz, which was very quick. With excitement, I opened the shipment and was surprised by the high-quality shoebox. You only get something like that on rare occasions. The box boasts a small opening on the front, which is perfect if I want to keep several shoeboxes one on top of the other. With the small opening I have a fast access to my shoes and it also guarantees good air circulation inside the sturdy shoebox. That together with the additional shoelaces (which are a nice thing to have when you are on a business trip and the laces rip suddenly), the shoe bags and the short care instructions made up a sophisticated calling card. All in all, it showed me that here were people with passion for their products. We also offer products from Burgol and the ShoeCareService. How do you like their presentation? It’s excellent! I am a big fan of great product images and your photos are very well produced. They draw attention, even to the metal tins, perfectly. I love that kind of attention to detail and I also know, that it is a very difficult thing to do. Thank you for all the compliments. Is there anything we could still do better? Only small things. I would change the image of the shoetree in the care instructions. So far, there is only an image of a low-quality spiral shoetree, which I would not recommend. I would also be very satisfied with softer shoe bags, which would polish the shoe whilst inside the bag. And one more thing: The shoe laces of my ray fish leather shoes are a little bit too long for a 3-hole lacing – a short pair of shoelaces would be more functional. What shoes do you think our collection is missing? What about a luxury shoe collection? Shoes, crafted from finest French calf, and equipped with a Rendenbach outsole. I would definitely buy a pair of those. 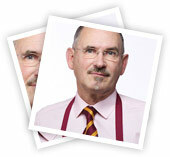 Peter Borggreve is one of Germany’s most sought after shoe polishers for corporate events. For over five years, the qualified landscape gardener has worked in the German shoe polish market. Today, Borggreve has successfully found his niche and is booked out year-round for corporate events and exhibitions. His clients include Porsche and BMW and he is a regular guest at medical conferences in Germany, too. Organisers of the Swiss Economic Forum in Interlaken have also employed Borggreve’s services for many years. 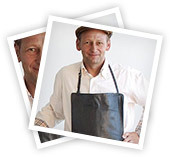 Together with his wife, he runs a dedicated shoe-care website called “Der feine Auftritt”, where users can everything they need for their shoe care: shoe care products, advice and of course direct contact with the master himself. Don’t feel like cleaning your shoes yourself? No problem. Peter Borggreve even offers an excellent pick-up and delivery, Europe-wide. Peter, as a professional shoe polisher, how much does SHOEPASSION.com appeal to you? A lot! If you are interested in elegant footwear, you really cannot overlook SHOEPASSION.com. A beautifully designed website, perfect product images, a must-have for every shoe lover. During my events I always recommend you to my customers. I hope, that SHOEPASSION.com will never become the Zalando for men’s shoes. Your shoes are too good for that kind of advertising. Are you pleased with the shoes that you encounter in your work? It depends on the event. At medical conferences, I often note that surgeons wear more high-quality footwear than paediatricians. Bankers think Oxfords are the king of shoes, while lawyers prefer the Derby style. Of course, you cannot always generalise like that, but I would say I always see the best footwear at the Swiss Economic Forum.There you will find plenty of John Lobb shoes for example. In your opinion, what should high-quality shoes look like? The most important thing is the comfort, the manufacture and the type of leather. The appearance comes afterwards. A shoe should mirror the character of its owner. I am glad about every single shoe, which I can fill with new life. Sometimes I feel more like an artist than a craftsman. What do you think about our shoes? Would you compare us to another manufacturer? I really like the shoes from SHOEPASSION.com. Your shoes boast great quality and a great appearance at an affordable price. In the past, I have often worn Grenson shoes and in terms of quality, your shoes definitely compare with them. In your opinion, what could we do better? You have mentioned traditional dress shoes. Is there anything else missing from our collection? Besides boat shoes and sturdy winter boots, you definitely need some classic footwear for women. That is definitely something we are not averse to. One last question Peter: In the USA and southern Europe the shoe polisher is very common. Why do you think that is so? I think in the rest of Europe, people are afraid to let someone else clean their shoes. For many, it is an act associated with subservience. I do not think, that this will change until for example, a soccer player pretend to clean the shoes of a goal scorner. In my opion, shoe cleaning only works in upper-class circles or special events. But there is one thing that is indispensable: The passion for the job. Without enjoyment, it will not work. Sven Raphael Schneider has been interested in classic menswear and accessories since the age of 14. While his schoolmates delivered papers in their spare time, the boy from Schwäbisch Hall dealt in well-made pens on eBay. As he grew up, his knowledge deepened. Today, his personal library dedicated to savoir vivre numbers around 500 books, which he began accumulating as a law student. 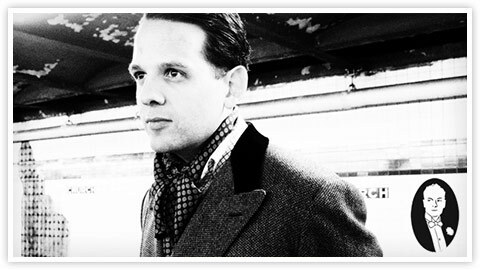 Schneider now lives in the USA, where he set up the Gentleman’s Gazette, an award-winning bilingual online magazine about the world of menswear and high-class living. It also includes honest product tests about much-loved brands. It is his goal to preserve and share knowledge about menswear. Number of shoes: I have never counted them! 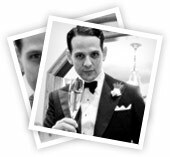 Sven Raphael, does SHOEPASSION.com appeal to a classic gentleman such as yourself? I think that your homepage is perfect for men who like to buy Apple products and would like to get a better pair of shoes. Personally, I am not in that demographic because I already own a couple of pairs of shoes from different manufacturers and shoemakers. How many pairs of shoes does a man really need for his everyday use? A man should own at least four pair of shoes: a plain Oxford in black, a brown Derby, a brown Loafer and a brown boot. What do you think about the classic etiquette rule “No brown after six”? That was a traditional rule in England, but today those social conventions no longer exist. In my opinion, it is more important to care about your whole appearance and to style appropriately for each occasion. At a wedding for example the bride and groom should be the centre of attention, which means your own Spectators have to stay at home. In general, I prefer a good looking man in brown shoes after six pm than a man with lower quality shoes in black, a badly fitting suit and a tie crafted from polyester with a Windsor knot. The Gentleman’s Gazette performs product tests, including on our double monk, No. 591. What do you think about our shoes? And would you compare us to another manufacturer? I don’t think you can compare SHOEPASSION.com to brands like Alfred Sargent or Edward Green, because your manufacture is a little bit coarser. But that is the reason why those brands are many times more expensive. In my view SHOEPASSION.com offer great value to men who would like to buy good, handcrafted leather shoes. You are living in the United States. How satisfied were you with the delivery time, packaging and additional extras? The delivery time was good, the packaging was obviously making an effort to convey a great shopping experience. The printed care instructions are very informative for beginners, the shoe bags were below average, but as I said before, SHOEPASSION.com does offer its shoe at a great price point. What would you still like to see added to our collection? SHOEPASSION.com already boasts a lot of classic shoes. But for personally what is missing is the courage for colours. I think that a wide range of colours for your shoes would be outstanding.